Electronics and intro to programming in one box! 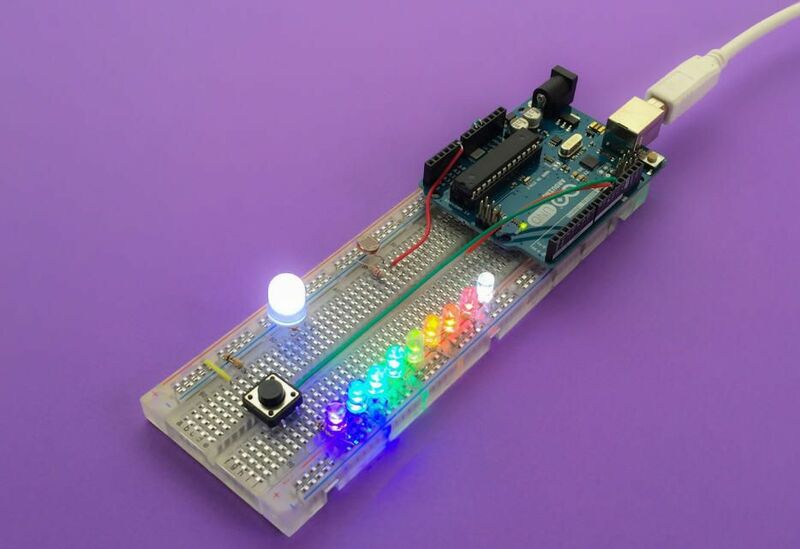 Discover Electronics provides a foundation in prototyping electronics and gives you the basics you need to create circuits for your Arduino microcontroller. A class in a box: visual manuals and additional online lessons move you easily from learning electronics to basic programming. Arduino is a microcontroller created for learning. It is the easiest way to learn about the computing world with thousands of learning resources available. Using standard electrical components explore physical phenomena aligning with science standards and then interact with them using programming. Learn how machines sense and how we can create interfaces with machines. Physical components will provide a tactile basis for exploring programming. 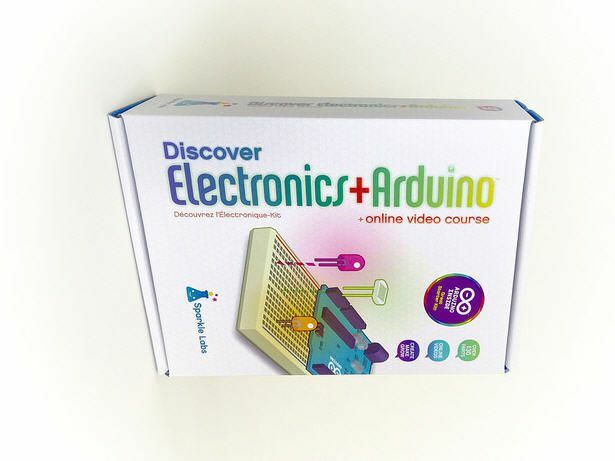 Everything you need to get started is in the kit - USB cable and the Discover Electronics kit. NYCDOE CS4ALL - Beta blueprint. G6 - Electricity and magnetism. MS-PS3-6 - Make observations to provide evidence that energy can be transferred by electric currents. HS-PS3-5 - Develop and use a model of two objects interacting through electric or magnetic fields to illustrate the forces between objects and the changes in energy of the objects due to the interaction. HS-PS3-6 - Analyze data to support the claim that Ohm’s Law describes the mathematical relationship among the potential difference, current, and resistance of an electric circuit. HS-PS2-5 - Plan and conduct an investigation to provide evidence that an electric current can produce a magnetic field and that a changing magnetic field can produce an electric current. Delivery information: The Discover Electronics kit comes with ten different colored LEDs, sensors, speaker and more as well as the Arduino Rev 3. This bundle also comes with the Sparkle Labs Arduino manual and online video course.